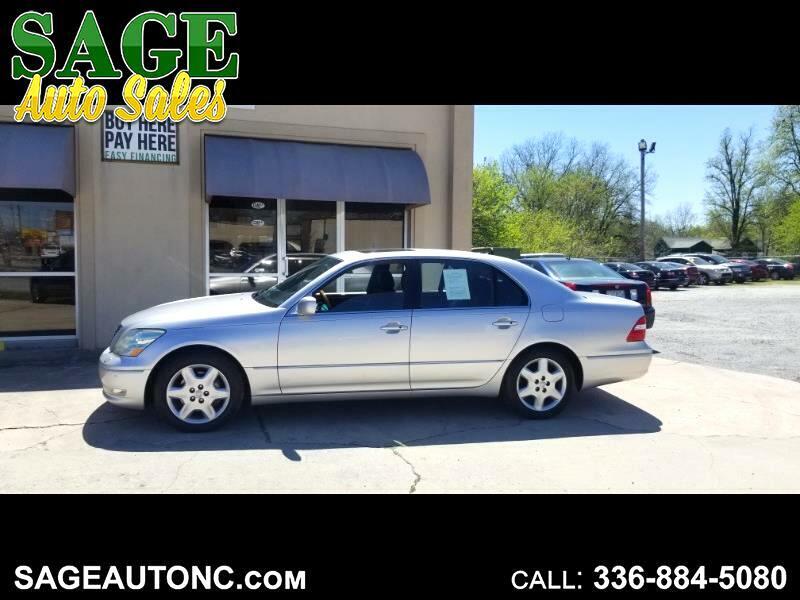 Like new Lexus! Leather interior looks and feels new. The whole vehicle looks great inside and out. Power everything. Factory alloy rims look so good. Open the huge sunroof and enjoy the Carolina sky. Fast and easy financing available. BAD CREDIT, NO CREDIT, NO PROBLEM. We will make it happen for you here at Sage Auto Sales. Call Zak at 336-884-5080 and schedule your test drive today. Apply online at www.sageautonc.com for a fast approval. Thanks for stopping by and looking at the Lexus. Have a great day. Serving the Triad for over 35 years. Fast and easy on lot financing. Bad credit no problem!! We own the bank!! Most Cars come with a 6 month/6000 miles service contract. Buy Here Pay Here. Visit us online at www.sageautonc.com to see more the rest of our inventory. or call us at 336-884-5080 today to schedule your test drive. Message: Thought you might be interested in this 2004 Lexus LS 430. Sage Auto Sales is not responsible for misprints or options listed incorrectly on above described vehicle. List price does not include tax, tag or doc. fee.